There are moments, stunning in their clarity, when awareness of one’s own ignorance rises to the surface. A favorite book reminded me forcefully of that this week while researching a new novel. The first half of the novel is set in the Upper Canada, in what is now southern Ontario. 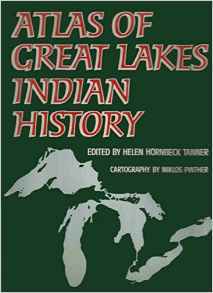 The heroine’s search for her grandmother led me to wonder where, exactly, she might find Ojibwe people in 1830.To answer the question, I pulled down a favorite book, Atlas of Great Lakes Indian History (University of Oklahoma Press, 1987), edited by Helen Hornbeck Tanner with cartography by Miklos Pinther. It reminded me of my reaction when I first read it and of the need to stay aware of the gaps in my knowledge. born in Detroit, as were my parents. They both lived in the area until adulthood, when the United States Army set us off on our journeys. Great Lakes shipping, breweries, and car factories all play a part in my family history. My paternal grandparents emigrated from Germany in the 1850s and 60s to settle on the east side. Their history mirrors the cities rise as an industrial power. But ah, my maternal grandparents! Their history straddles the river and goes back farther. Grandma is descended from the founding French families of the Detroit river region. Grandpa came from Quebecois families who migrated into southern Ontario in the mid 1800s. In researching these folks I found farmers, traders, soldiers, surgeons, and the occasional voyageur. They lived through the founding and the change of flags from French to British to American over a thirty-year period. Their names are on documents founding the city, on street names, and various oaths of loyalty to various sides. Native Americans lurk in the background of these stories. 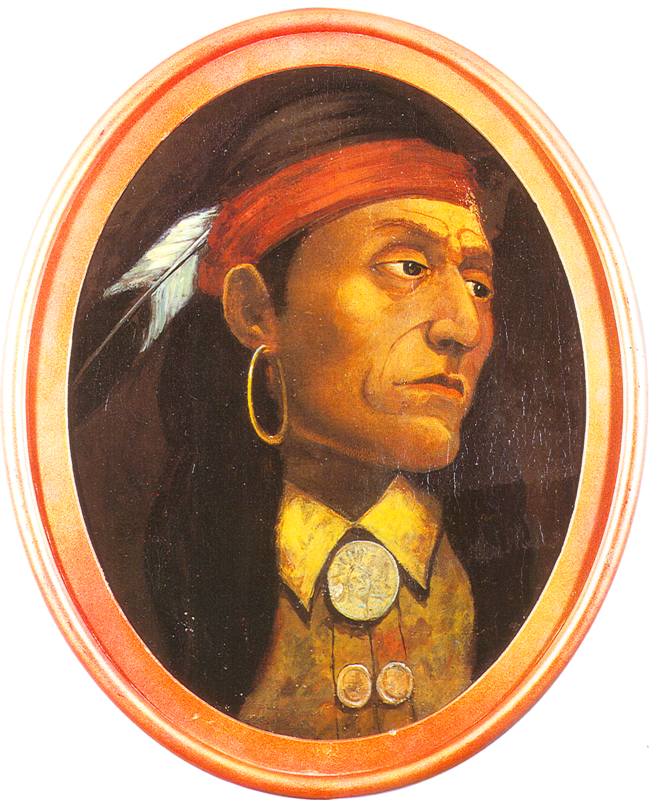 When the garrison sent a delegation to negotiate with Pontiac just before the siege of the city in 1763, Jean Baptiste Chapoton, one of my ancestors, was a member of the delegation. It isn’t completely clear the extent to which Chapoton, like many of the French, actually sympathized with Pontiac’s effort to push the British out of the Lakes country. The treaty to end the French and Indian War hadn’t been signed. 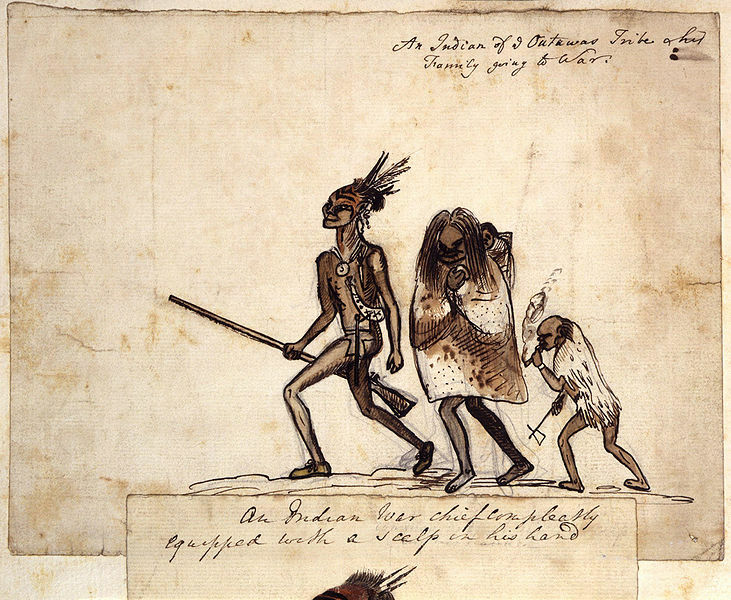 By the American Revolution, however, it is clear the British were in firm control and didn’t trust Chapoton, although I’ve occasionally wondered if, as a militia captain, he accompanied the Shawnee and other tribes that raided my husbands ancestors in Pennsylvania and Ohio. Much later, Chapoton said he received the land as gifts from his friends, the Ottawa, when he needed to justify land claims. In my simplistic thinking, native presence in Michigan, interesting though it was, lay in that distant past. I ought to have known better. 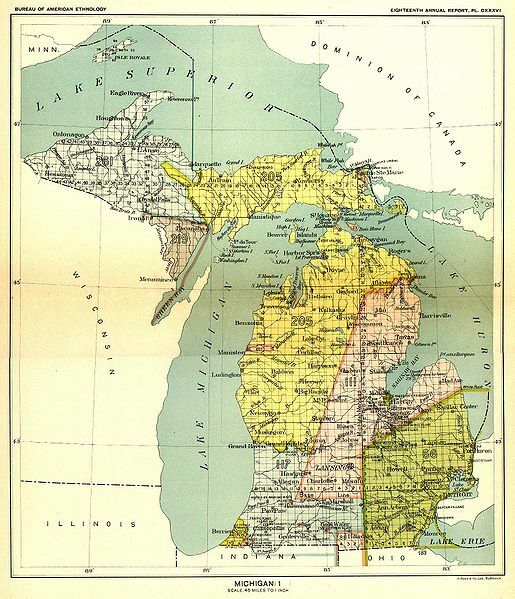 I knew that my grandfather’s uncle migrated to the Upper Peninsula, and we had family there. Only when a distant cousin turned up at a family reunion, however, did I discover that Gilbert Brule’ married an Ojibwe (also called Chippewa) woman. The real question is, “How I have been so ignorant?” Humble pie is and was on the menu. I had forgotten an important rule for students of history: question everything. I owe a debt to the Atlas. Covering pre-history through 1880, the book uses maps and graphs to illuminate population, migration, land cessation, and shifting boundaries. The maps are priceless, indispensable references to shifting population. The text goes well beyond that, filling in gaps in popular history from the point of view of the original inhabitants. It expounds events oversimplified elsewhere and illuminates causes, alliances, and the pressures on highly diverse groups of people. The 500+ item bibliography alone was worth the price of the book. While the occasional scholarly reviewer has quibbled details, the overall impact it had my thinking was priceless. As a student of history—much less as a novelist—I can’t afford ignorance. All illustrations (aside from the book cover) are published in the US before 1923 and public domain in the US. Treaty of Paris signed February 1763 ceding all of continental North America to Britain. Pontiac’s siege of Detroit began in May of 1763. Yes, but i believe they didn’t know it, and even when word came there some (among the French in particular) who didn’t believe it. Wow Loretta, great comment. We moved to Dothan Alabama when I was 4, but only stayed a year. I can still remember a lady saying “That little Yankee girl has good manners.” I always feared I would have been the little yankee girl my whole life if we stayed. Caroline, I love that you draw on your family background and use it in your stories. My first historical featured an Ojibwa tribe in the same area as what you cover. It’s great fun to blend fact with fiction. That’s what we’re all about, no? Great post. Love the peek into family history!